While this week comes around the same time every year, this year more than ever it seems poignant. There is a divide occurring within the pet care space and the lines are starting to blur. How Can You Tell the Difference Between a Professional Pet Sitter and a “Hobbyist”? While I think the PSI definition if you want to denote it as such holds value – it could be broadened quite a bit. Currently, there is no regulatory authority that oversees whether a person is a ‘professional pet sitter’ or not. While education, obtaining business licensure/permits, using a contract, providing background checks, insurance, and bonding certainly does show that a person is committed to being a professional, there are no existing set of requirements. While I feel the above-mentioned criteria are important, they don’t clearly separate those that are performing as professionals and those that are not. Many ‘hobbyists’ can join the directory listing pet sitter web companies like Rover dot com or Wag! and have immediate access to education (very little), background checks and insurance (that only protects the client). While the quality might be different, it’s not easy for the general pet owning public to understand any differences. On paper, they look the same. So What Makes a Professional a Professional? From my perspective, and I will not hide any biases – from my perspective as a Professional Pet Sitter, the difference lays inherently in the experience and education. I’m not saying that X amount of years caring for pets means that you are a professional pet sitter – you can have 5 years experience in 5 weeks if you visit enough pets, it’s the experience you have been exposed to and if you have taken the time to always learn how to be the best. 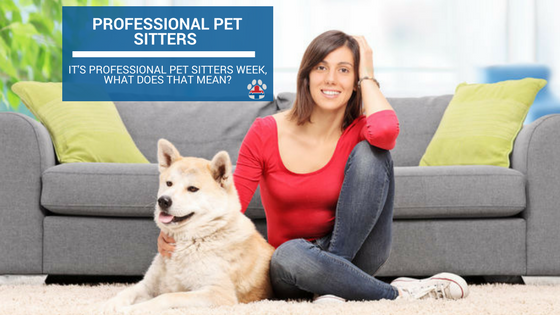 I would consider my staff professional pet sitters – while some of them have only been with me for 3 months, they have gone through extensive training and learned just about everything I know from the past 15 years. They have been educated and have been equipped with the tools to handle every situation, from human to pet. Having that access to that amount and quality of information, the brand, the direct connection to the person that makes the decisions or being that person that makes the final decision is what for me, denotes a professional. Who cares if a sit gets missed, an accident occurs or an emergency happens? An owner of a pet sitting company, whether solo or staffed to the 9’s does – it’s their life and reputation! How they have trained to handle the issue that occurred or put procedures in place for their staff to follow to make certain the number one priority is the client’s pet – makes that person a professional pet sitter in my book. Those listed on the directory dot com sites just have a support number to call and no one to be the decision maker. Since they are technically considered independent contractors working alone for listing company X, they cannot be told how to do their job. A true professional pet sitter either through experience and education has taken great steps in educating themselves or their staff in taking the best care for that animal and conveys that to their clients. They have followed all of the proposed PSI guidelines and more! This doesn’t mean that a pet sitter listed on a dot com site isn’t a professional. I believe professional pet sitters are both company owners and can be found listed on Rover or Wag!. Its the attitude they have about the client’s pet and the steps they have taken to educate themselves and finally, it’s the experience they have. So rather than state that the difference between a professional pet sitter depends on if one has followed the PSI guidelines or not, I would like the definition to be a bit broader. It should be based on how they have educated themselves, conduct themselves and their experience. You don’t wake up a nurse, you don’t wake up an engineer, you get educated to become one and work in the field to gain the experiences needed. I want STANDARDS for the level of care because at the end of the day, the care the pet receives is the only thing that truly matters. For now, no regulatory authority exists to determine if a person providing care for your pets is professional or not. Until then – as a pet owner, ask the right questions. Ask what experience that person has, ask what is their backup plan, ask what their emergency plan is, ask what education they have completed to make certain your pet is their #1? They should be educated, possess current business licensure/permits, use a contract, provide background checks, provide insurance, and bonding and be trained in pet first aid & CPR so they know what to do when something goes wrong. The most important tool in my staff’s toolbox is knowing what to do in an emergency. A professional should go the extra mile, they should have every tool available in their toolbox and they should have the experience of how to use them or access to the business owner that does. Until regulations are created to truly denote the difference between a professional pet sitter and one who is not, it is up to the pet owner to do their homework. I personally take issue with anyone listing themselves on the currently available dot com listing sites because they are misleading. While they have said they are a tech company first that facilitates people to pet sit, they provide a false sense of security that their insurance is full and that they educate their sitters (which is a 13 questionnaire). Look at what each has done with their time in the pet sitting world and most importantly, are they equipped to handle situations that go awry. So this my fellow professional pet sitting colleagues is for you, and for my fellow pet owners (I was a pet owner first before a pet sitter), really think about the hands in which you are leaving your loved-ones. 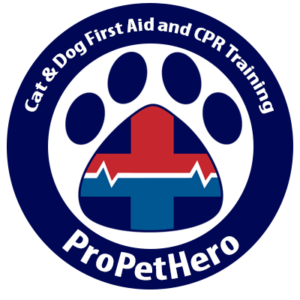 If you have ANY questions on how to find a good pet sitter I’m here for completely free advice, as long as you have been certified in pet first aid & CPR first. Pet owner or pet care professional, you owe it to the animals to be their advocate when something goes wrong, you chose to share your life with them and you owe at least that much to them.